I found these mushrooms at Takao. I think the red and orange ones are edible(食 用). The white ones may be deadly poisonous(毒). :-o Don't worry, I'm not going to eat any of them. But they're pretty and mysterious. 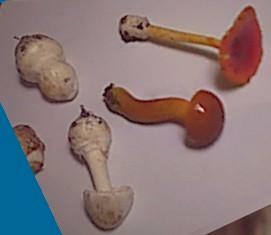 I think the red one is Amanita hemibapha (タマゴタケ). But some people say never eat an Amanita. 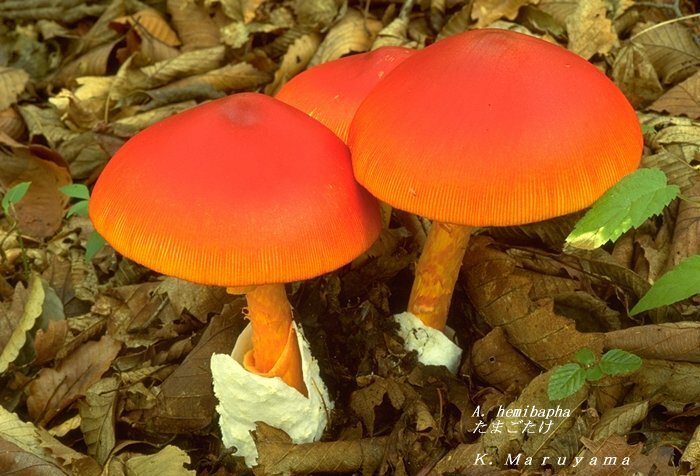 And I think the orange one is Boletus auripes, (コガネヤマドリ). 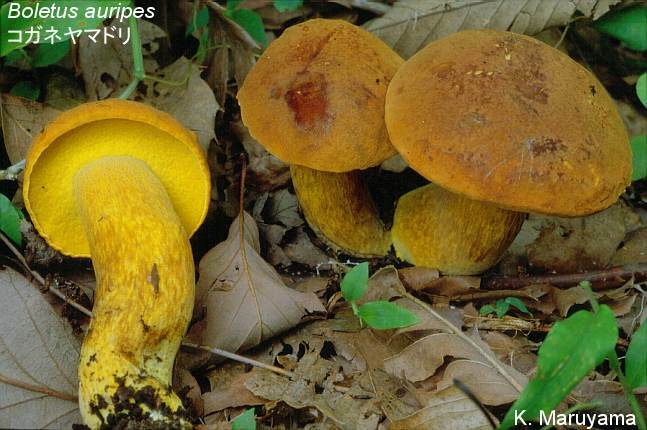 Some bolete mushrooms are popular to eat in the west. PPS: are these "kinoko advisors"?? People you can contact to get advice on mushrooms?? I also don't have any ideas on mashrooms.. As you know, it's really difficult to distinguish between edible one and poisonous one..
You're now a mashroom beginner, lol. Someday you'll be experienced. It's difficult to resist eating the red one... I see many web pages that say it's delicious, and it LOOKS so oishii.